PARKING IN THE PARK: There is a $6 weekend cash parking fee per car ($5 on weekdays), payable at the gate. You can park outside the park for free and walk in, but make sure you get there earlier so you have time to get to walk over the meeting area. 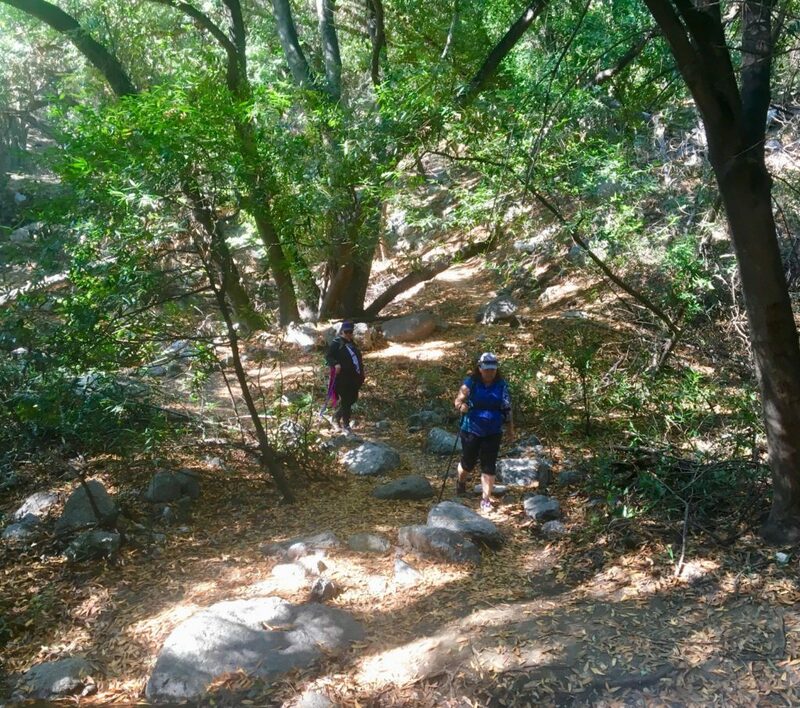 The hike begins with an approximate 1.5 mile walk up the Sawpit Fire Road, past the Sawpit Dam and Trask Scout Reservation to the Trail Head located between two rock pillars. 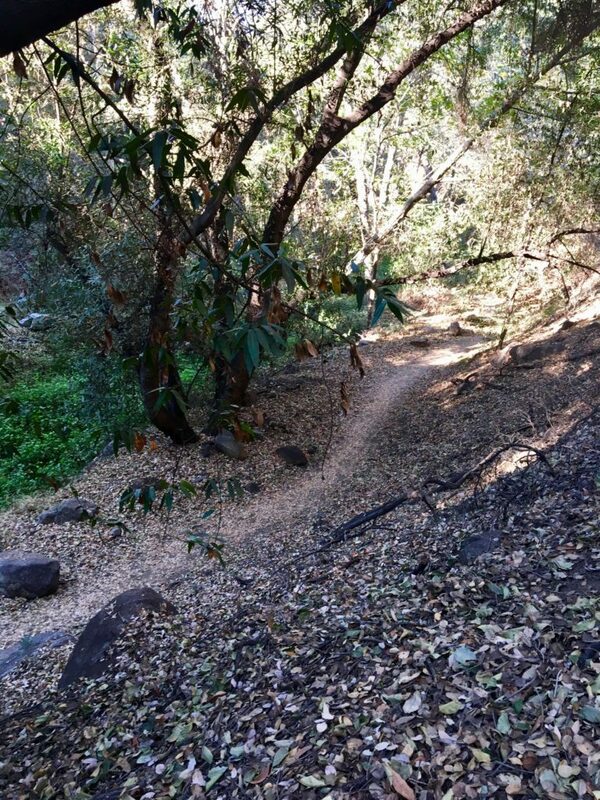 The well-maintained, reconstructed and winding trail continues through the Sawpit, Sycamore and Twin Springs Canyon. 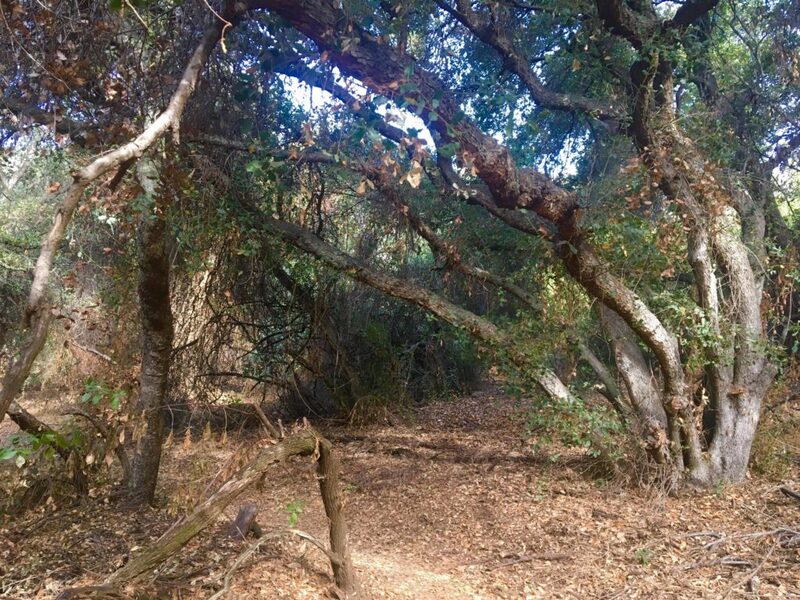 The trail continues for approximately 3.5 miles with a gradual 2,000’ft elevation gain through some beautiful coastal oak, bay trees, a few creek crossings and some incredible undisturbed wilderness. The trail ends at the ruins of Lodge named after Mr. Overturff after which we will follow the same trail back to the parking lot after a short break. REQUIRED: Water, at least one to two liters of water or three to four 16/20oz bottles. DOG-FRIENDLY? 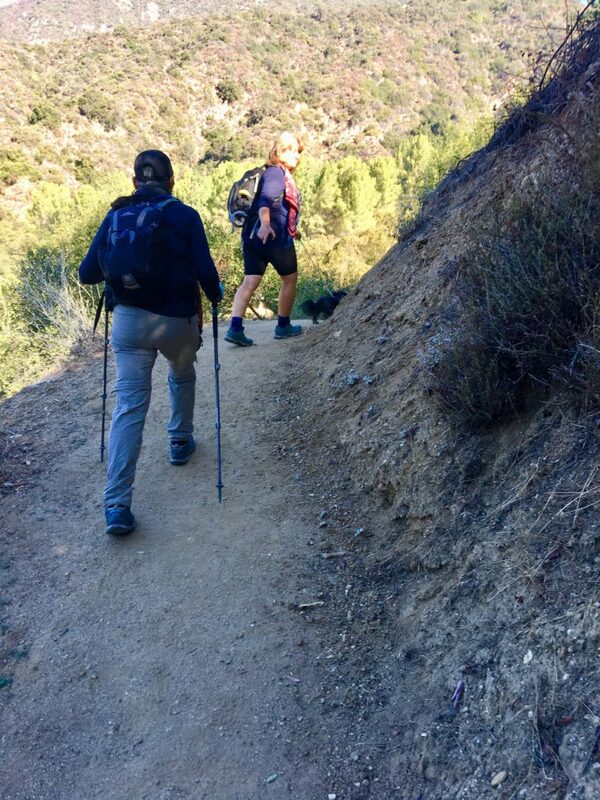 : Not good for inexperienced hiking dogs, but must be kept on a leash. You must clean up after your pet and carry water and a container for it drink from.